We are living in a culture of death, where the world is upside down, innocent human beings are murdered legally, and we all turn a blind eye to the atrocities going on in our city, down the street from our church. While the above photo might smack of hypocrisy, it is not. It is actually consistent thinking in the culture of death that seeks to hide this awful sin from children, until they are old enough to justify it themselves. THIS is why we go to high schools, THIS is why we go to colleges, THIS is why we go anywhere and everywhere we can, because until we, as a nation, are on our knees before God, repenting of our sin of apathy, and murder, then we will continue to reap what we sow. Please, we ask you, if you are on this site, and you are a Christian, consider your unborn neighbor. Like The Good Samaritan who found his neighbor beaten, bloody, and left by the side of the road, let’s love our unborn neighbor. Please, love your neighbor, and help us call for justice, and mercy. WE CELEBRATE OUR INDEPENDENCE FROM A TYRANNICAL EMPIRE IN A DAY WHEN OUR LAWS DEFEND A MUCH MORE BRUTAL FORM OF OPPRESSION. Since our Nation’s founding, we have claimed to be built on a recognition of certain God given inalienable rights. In the Declaration of Independence it summarizes these rights as Life, Liberty, and the Pursuit of Happiness. Through our short history, the people of the United States have allowed and protected practices which contradict the truth on which we claim to rest. Namely that ALL men are created equal. From the institution of chattel slavery, to the involuntary and often violent removal of Native American peoples from their lands, to a racial segregation, we have often times stood as hypocrites before God. ABORTION IS OUR NATIONAL SIN AND THE EVIL OF OUR AGE. 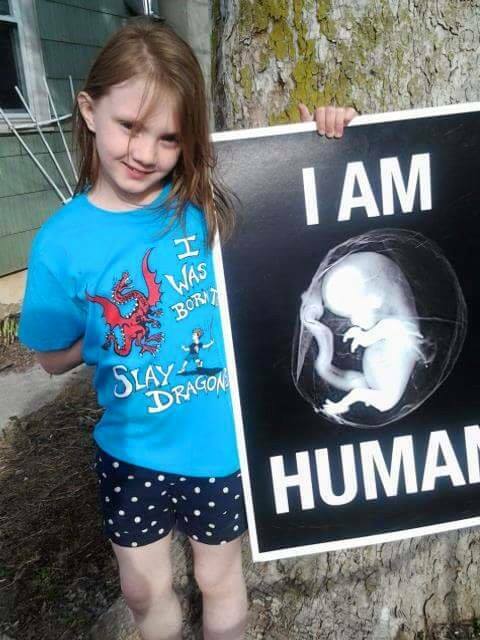 All men (women, children, fetus, embryo) are created in the image of the Almighty God, and as such have inherent dignity and worth. It is on this truth that every abolitionist movement has hung, the only truth more significant is that the same God who fashioned us in his image stepped down into space and time to become a man, to take away the sins of the world. People who have been changed by the power of this truth must take up the call to serve Christ and his kingdom in the cause of the abolition of abortion. There can be no allegiance but to Christ, for he alone is King. WE HAVE NO RIGHT TO CELEBRATE FREEDOM WHILE OPPRESSION IS IN OUR MIDST. 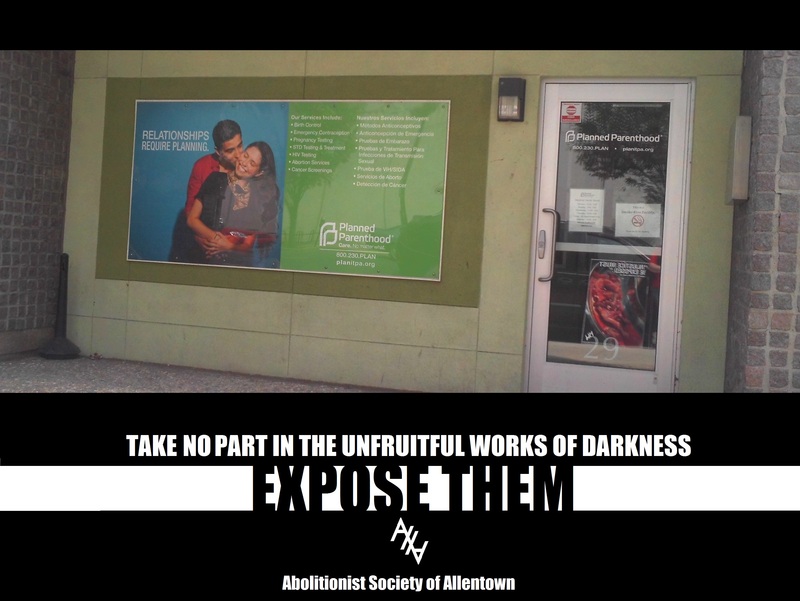 An abolitionist exposing the truth of what happens at Allentown Women’s Center, 31 S Commerce way, Bethlehem, Where human beings are murdered several days a week. 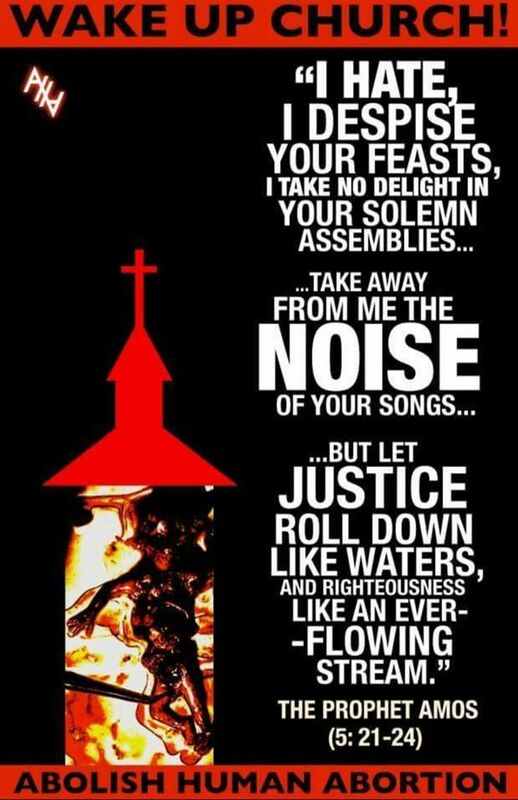 RISE UP, CHRISTIAN, TO LOVE YOUR NEIGHBOR, TO OPPOSE THIS GROSS INJUSTICE, AND TO SERVE YOUR KING. Thank you to AbSoc Fort Worth for the text of this blogpost. We invite you to join us as we host this conference, in conjunction with the newly formed Abolitionist Society of Philly. 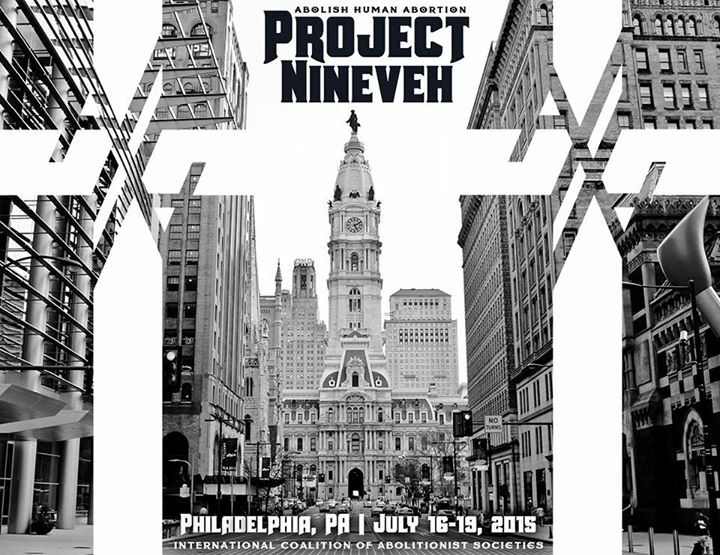 Please feel free to contact us for conference details, if you are interested in joining us from July 16-19 in Philadelphia. 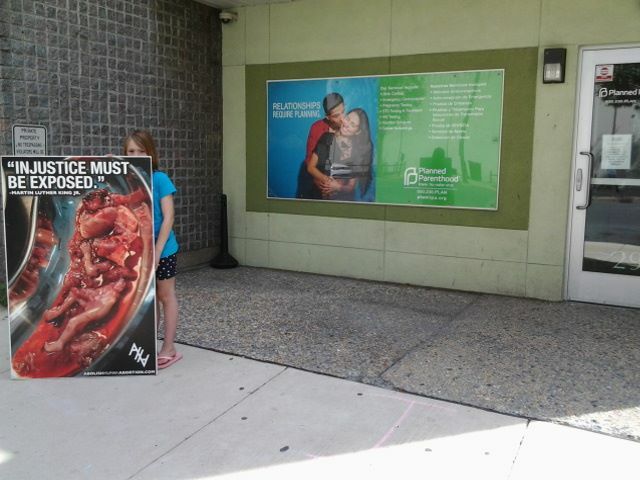 This morning, we went to Planned Parenthood Allentown. Hearts were hard. We spoke to 3 Fathers who refused outright to love their child, or protect the oppressed by going inside and getting their child, and the woman they were with OUT of that place of death. 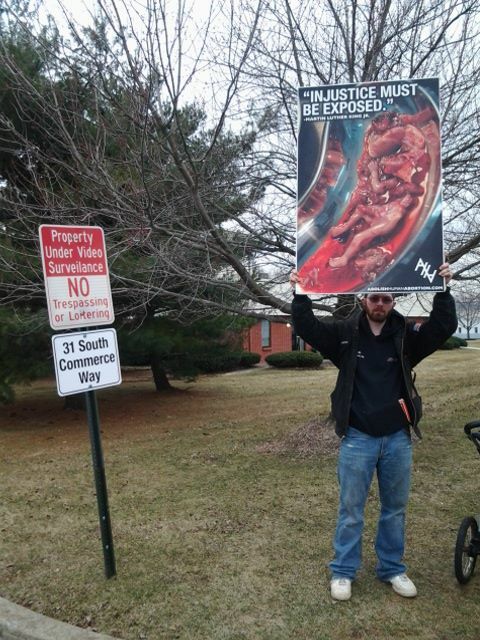 Pray for this man (Standing behind the signs) whose conscience seemed soft, but his heart was hard. Pray for him to turn to Christ and repent. He wouldn’t take any literature. We left a dropcard on his car, that says: “All that is necessary for evil to triumph is for good men to do nothing.” we hope he read it later. No matter how many offers of help, pleas for mercy, or rebukes to protect the innocent, their feet make haste to shed blood, because really, they see themselves as more valuable, and more important than their own child. We pray that the men and women inside read of the promise of forgiveness in Christ, and repent of their sins, seeking him, and not their own desires, wants, and decisions. 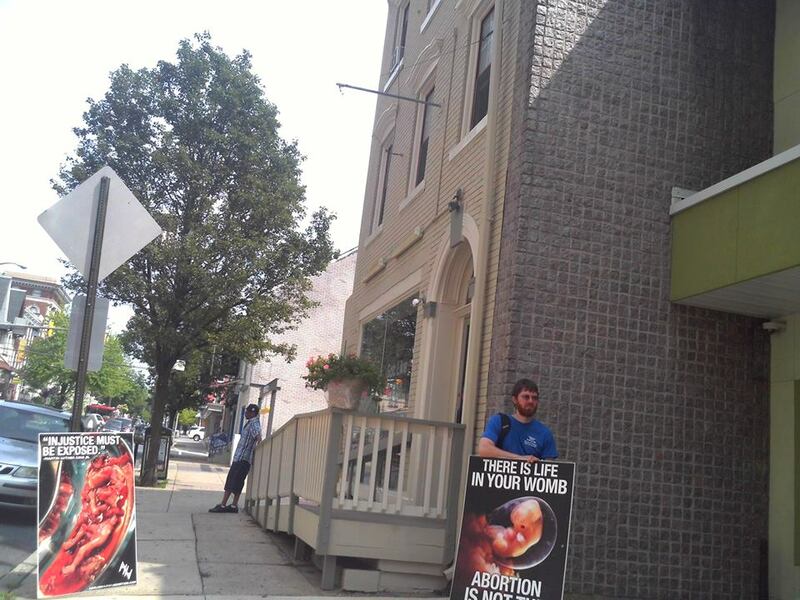 One gentleman walking down the street as we stood outside of the Planned Parenthood stopped to speak with us, agreeing that Abortion was indeed wrong. After a few minutes of speaking, we learned he was a Muslim. 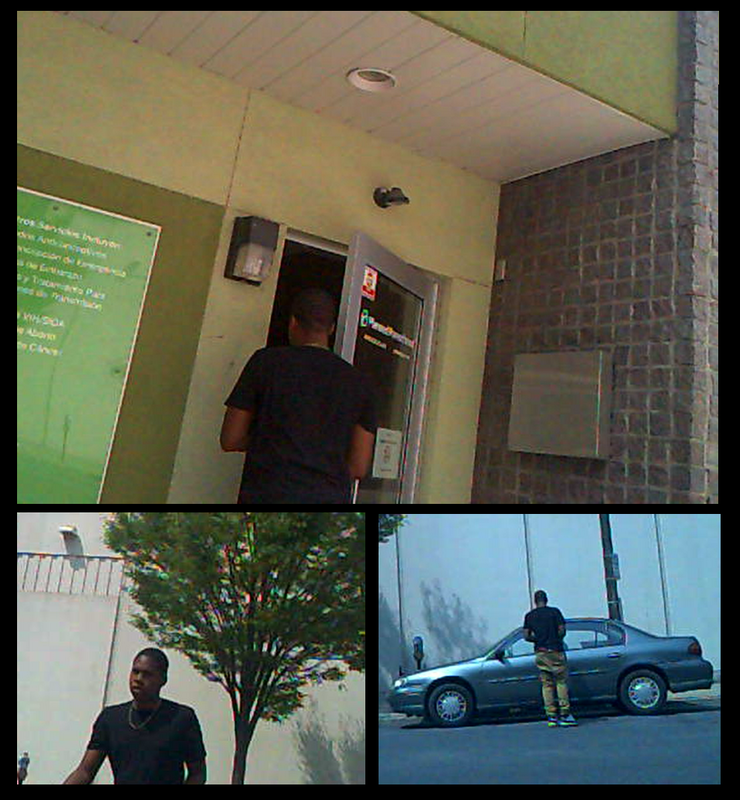 We were able to give him the gospel, and hand him some literature containing the truth about the gospel, and abortion. It was a short but fruitful conversation. Please pray for him. Pray he realizes his need for Christ. So, after a tough morning at Planned Parenthood, where no one turned away or had mercy on their child, we packed up and drove home, praying for an opportunity to engage more people with the truth of the gospel. We realized school was just letting out, as we saw groups of kids walking down the street, and hanging out, so we stopped and parked the van, and made our way to a local park, dropcarding a bunch of cars on the way. At the park, there was a large group of kids just out of school. They were interested in and receptive to what we had to say. Every person in the group took a You’ve Been Lied To booklet. We handed out roughly 20 (maybe more.) We even ran out! A lot of the teens asked questions, and engaged with us. Within a few minutes, by God’s grace and divine appointment, we were able to verbally give the gospel to the WHOLE GROUP! We were encouraged to see a few intent listeners in the middle of the crowd. The group as a whole spoke with us for about 20 minutes, they heard, they asked questions, they asked for more booklets, and they weighed in with their own thoughts and ideas, talking amongst themselves about abortion, Jesus Christ, forgiveness, and cheap grace. It was an amazing opportunity to interact and teach using God’s Word as the standard. To my chagrin, my camera died really early in, so we caught none of the conversations we had, only the beginnings of them, but dead batteries or not, 20+ people heard the gospel today. Hoping hearts were pricked. I love this scripture because often, I DO feel weary and I DO want to give up. But rather, I MUST rest in Christ, and continue to plant seeds of truth knowing that, whatever we plant, we will harvest. It is so easy to feel isolated, alone, or overwhelmed as an abolitionist. 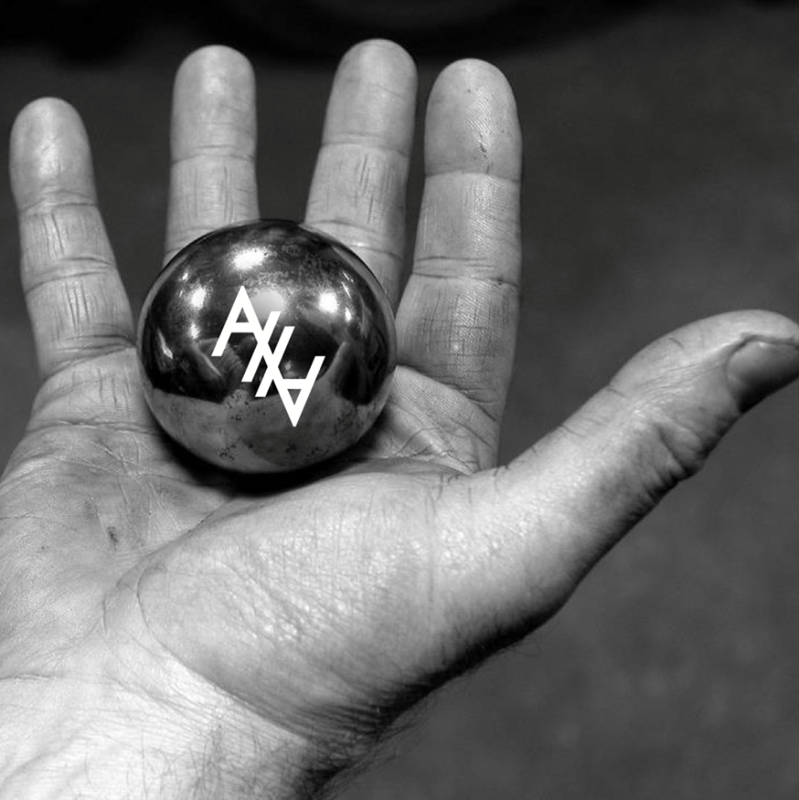 Friends, family, people at the high schools, colleges, on the street, overwhelmingly HATE what we have to say. They yell at us, call the police on us, spit on us, some throw things at us, dump liquids on us, or worse, the odd assault or two, including attempts to steal signs and literature. Our friends, our family, who have said things like “I’ll always support you, no matter what you do!” suddenly stop talking to us, they may call us, angry, and tell us what we’re doing is wrong. There is a LOT of emotional pushback, and anger, because, ultimately, the majority of our culture is either apathetic, or deeply engaged in this particular holocaust, and exposing the truth doesn’t sit right with them, and their reactions can go from ignoring us, to being angry with us. Or better, if they are not already in Christ, we have the privilege and honor to see that moment of truth, where they realize their need for him, and his Lordship in their life. THESE are the reasons we plant seeds of truth everywhere we go. And we don’t see them as often as we like. In my case, I often think God has withheld many of them from me, because he is curbing my besetting sin of pride. He’s allowing me to be spit on, yelled at, and ignored, for his own honor and glory, and for my sanctification. But then… Sometimes, he has given me encouragement, a view of the work that he is doing in Pennsylvania. But we are seeing the seeds take root, and little plants begin to grow there, and it is marvelous to see how God, in his mercy, is beginning a work there. And then this week, we were invited to place an ad in a local school yearbook. Speaking to the folks at this school was a breath of fresh air. This is not me, this is entirely God’s Work. I am in awe, because I wonder, if they are watching me, are they seeing my failures, my stumbles? But what they are seeing, what is impacting their hearts, is God’s work here, in Allentown. Please, abolitionists, although you may be weary, do not give up. Because what we sow, we also reap. You don’t know who is watching, who has previously written you off, and yet, over the years, months, weeks, they have come to see God’s Work, and HIS Word. Continue on, faithfully, persevering, resting in Christ, doing the will of our Father in heaven. What you sow, you will also reap. And do not give up. Your child is vaccinated with vaccines that were developed using cell lines from aborted human beings. 1 in 3 women have an abortion, so consider, what things women have done in their careers that were built on their own child’s sacrifice. The building you work in may have been designed by a woman or man whose child was murdered in abortion. The Pediatrician you love so much may have finished medical school after having an abortion, etc. You drink Pepsi, which is tested using aborted fetal cells. Or use make up that uses aborted tissue in it’s development. Maybe your coffee creamer from Nestle was developed using aborted fetal cells for flavor testing. You had a blood test, and your blood was tested in a lab that also participates in tests etc. that are related to abortive procedures. Again, 1 in 3 women will have or have had an abortion. How many women in your pews on Sunday, in your family gatherings, in the cubicle next to you have participated in abortion? Maybe by driving a friend, maybe by having one themselves. Also, consider, the families that you work with, live with, play with, how many of them have aborted unknown children through the use of abortifacient drugs? Children they will never know of? How many of them have participated in IVF to establish a family, their own flesh and blood, furthering an industry that treats humans as property, and freezes them for profit, often destroying them when they’re no longer wanted? We cannot avoid abortion. Every portion of our lives is touched by it. We cannot avoid that our culture is saturated in the blood of the innocent, and that our hands are stained by it. Stop handing change in baby bottles to a few well meaning women who may or may not give the gospel to women who find themselves to be pregnant at a bad time. That is not enough. That barely touches the tip of the iceberg. Consider, Christian, how we are all culpable for the bloodguilt on our nation. Repent, and begin to establish justice. 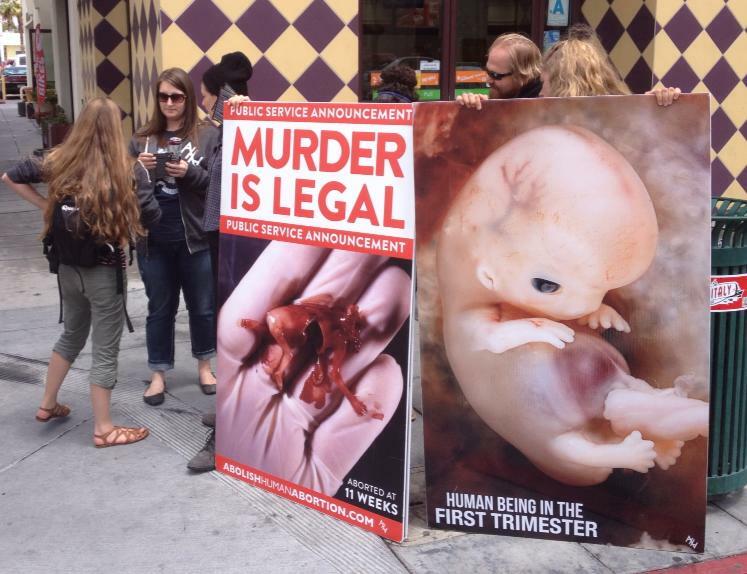 Say: “No more!” and call for nothing less than the abolition of abortion. 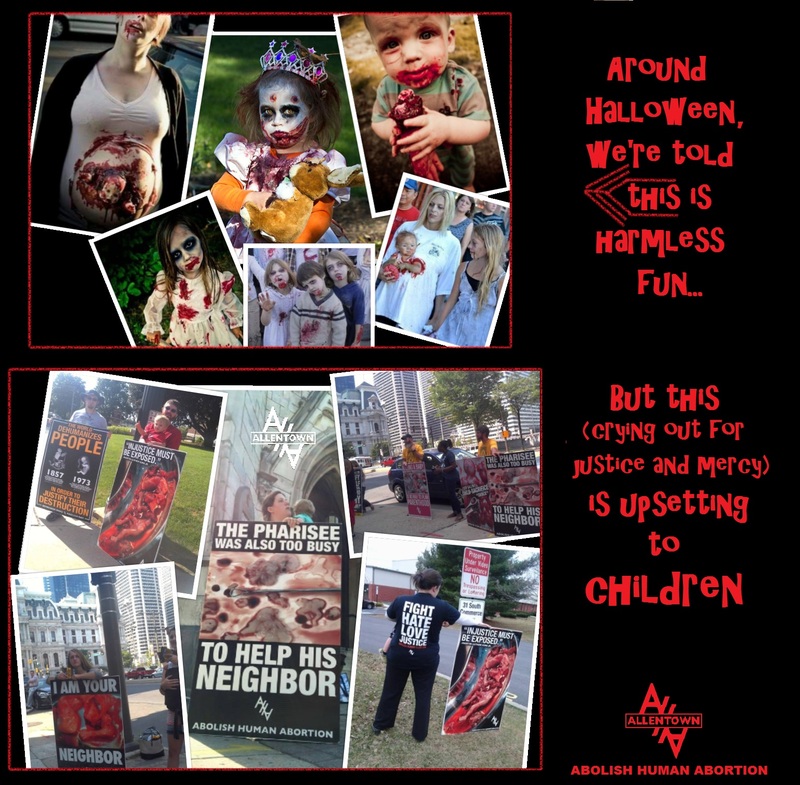 Stop having peace with the act of child sacrifice, and call out against it. All justification outside of Christ ultimately ends in death. Praying for this Mom, that she finds hope, forgiveness, and rest in Christ. Praying she repents, and turns to him. 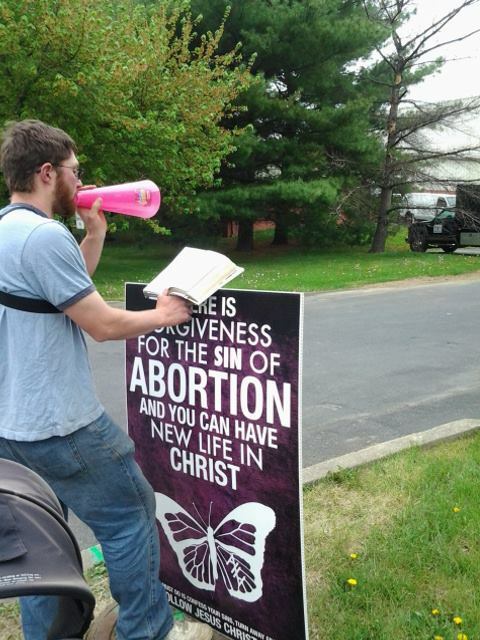 Preaching the Word to Moms and Dads at the abortion mill.